Douglas Dunn has been dancing and making dances for fifty years. His lineage includes: an outdoor California upbringing full with self-invented, physically challenging games; a wide range of athletic pursuits; years of ballet classes; a summer at Jacob’s Pillow; five years as a member of the Merce Cunningham Dance Company; and work with Yvonne Rainer leading to the founding and six-year career of Grand Union, the daring, no-rehearsal collective that included Steve Paxton, David Gordon, Barbary Dilley, Nancy Green, Yvonne Rainer and Trisha Brown. Douglas Dunn first presented his work in Manhattan in 1971. After a number of years of solo and duet work, he formed Douglas Dunn + Dancers in 1978. He likes to collaborate with poets, painters, sculptors, musicians, composers and playwrights to offer a multifaceted theatrical experience. He has set pieces for many companies besides his own, including the Paris Opera Ballet, and has composed numerous outdoor and site-specific events. He is renowned as a teacher of Technique and of Open Structures, with a long tenure at NYU’s Steinhardt School of Culture, Education, and Human Development. Awards include a Guggenheim, a Bessie, and Chevalier in the Ordres des Arts et des Lettres. 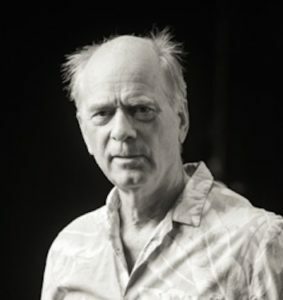 He receives fellowships from the National Endowment for the Arts, the New York State Council on the Arts, the Department of Cultural Affairs, the John Simon Guggenheim Memorial Foundation, the New York Foundation for the Arts, the Lila Wallace-Reader’s Digest Fund, the Foundation for Contemporary Performance Arts, and the Creative Arts Public Service Program, among others. Douglas produces Salons at his studio in Soho and is Board Member Emeritus of Danspace Project/St. Mark’s Church since 2005. His collected writing, Dancer Out of Sight, is available at Amazon.com.